Indian new age writers are seemed to be smitten by the mythology and Don Brown factor. Along with it Amish’s grand success of Shiva trilogy really gave all of them hope to travel in the same path and made them believe that it is trend just like comedy seems a trend in Tamil cinema. By now there are lots and lots are stories have been woven and came. As far as epics, mythology is concerned we cannot neglect Ramayana and Mahabharatha. The Crystal Guardian series is the retelling of the RAMAYANA with a twist in the approach and extension from the previous versions. As we know we already have n number of versions of the story. 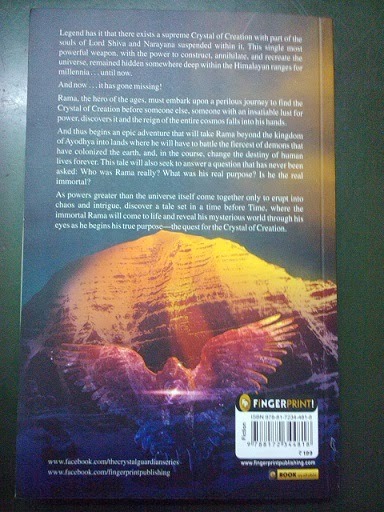 The motto or the theme of the story is Rama lives on and his quest to find the Crystal of creation. The Crystal of creation is woven with already known story of Ramayana. The story unfolds as if the Lord Rama narrating the story from the beginning to his brothers and Hanuman. It starts off with Chapter 148 stating that during the British rule Lord Blaze talking about the presence of Crystal of Creation and it is linked with Rama. Then suddenly goes to chapter one and then the story start as I mentioned before. Ramayana is an epic full of characters and each version carries a different approach to each character so trying to capture the soul and inserting the new concept is a bit of easy and tough job at the same time. Easy because you have lot of events which has numerous perspectives so adding another perspective is not a tough job, it is tough because the characters are woven beautifully that miscalculating certain topics may even lead to the destruction of the soul of the story. 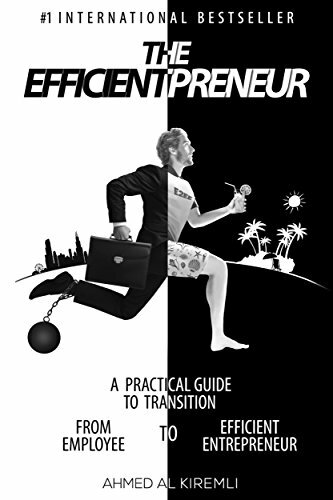 The author has carefully chosen the topics and sections to narrate. Maintaining the consistency in telling the story and crispy narration keeps the first book of the series engaging. As far as the events and story is considered all is known to everybody. Fictionalizing the events and engaging the reader with fast pacing is victory of the author. Another thought that lingered in my mind was that I felt more like a story written for easy screen adaptation. Is it because for the future use or because the audience expects this kind of entertaining mythology. 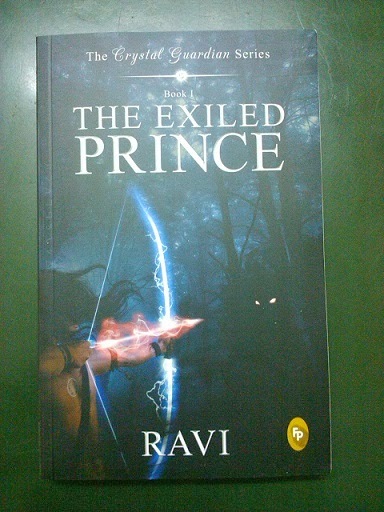 Whatever the reason may be The Exiled Prince is quit a nice read for a time pass. If you have read the Ramayana in any form and a fan of Hollywood remakes chances are high that you might enjoy this read. P.S: I got this book in a giveaway. Not yet bro, will do it shortly.